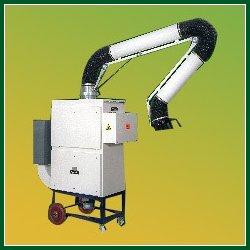 Mist Collector Manufacturers, Welding Fume Extractor in Bangalore, Soldering fume extractor, solder fume extractor in india. Fume that emits during the process of welding consists of harmful gases and continuous exposure of this can be fatal and bring life-threatening diseases. To deal with this major concern Power Tech, after years of relentless R&D has devised most advanced fume extractor utilizing electrostatic filtration methods. Power tech is the pioneering Welding Fume Extractor Manufacturer, where superior quality products are available in reasonable price. This fume extractor, which is sold under the brand name Fume Killer, is deemed perfect for elimination poisonous gases from the manufacturing station and keep the environment pollution free, which reduces worker absenteeism remarkably thus enhance the profit of the company. This is the perfect fume eliminator device, which can perfectly control almost any types of fume efficiently because of the in-built electrostatic mechanism. Fume produced during TIG or MIG welding, Plasma Cutting or spot welding, Fume killer is considered the perfect choice. Being one of the leading producers of Soldering Fume Extractor, we have used the best quality materials, which enable the device to provide efficient service for prolonged period of time and can withstand harshest industrial wear and tear without getting damaged. As you know, electrostatic filtration method is considered most accurate yet inexpensive methodology to control fumes where the fume particles, in order to make it charged positive, are passed through like charged ionizer. While the like-charged fume particles are passed through like-charged grounded plates, it is forced through the collection plate where it gets deposited and pollution-free oxygenated air fill the work ambiance. It is advised to keep the collection plate clean as more deposition on the collection plate diminishes the efficiency of the device. 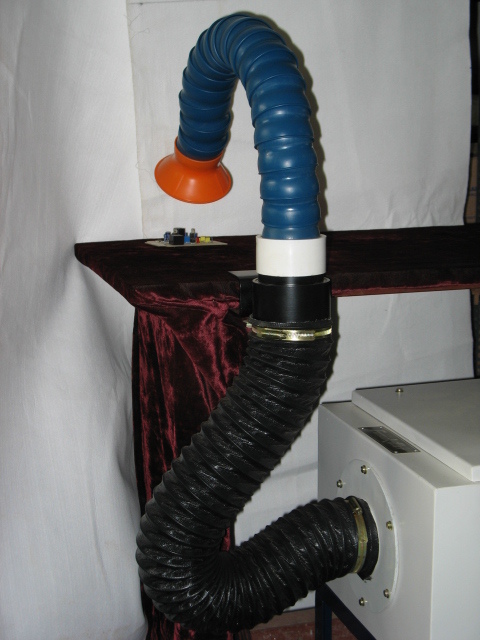 For the aim to provide universally acclaimed fume elimination device, as a trusted Welding Fume Extractor Manufacturers, we have come up with Fume Killer that consists a suction capacity ranging from 1000 CMH to 6000 CMH. Besides keeping in view the requirement of a powerful fume eliminator, we have invented another centralized fume eliminator which has as much as 100,000 CMH suction capacities and is enabled to eliminate enormous fume from colossus welding station. How Does Soldering Fume Affect The Workplace? How Does Soldering Fume Extractor Promote The Good Industrial Working Environment?